Artists And Criminals: On The Cutting Edge Of Tech : All Tech Considered Sci-fi authors like William Gibson foresaw what the Internet would bring. Inspired by their visions, NPR's Laura Sydell set out to see what artists and criminals think about and do with technology. 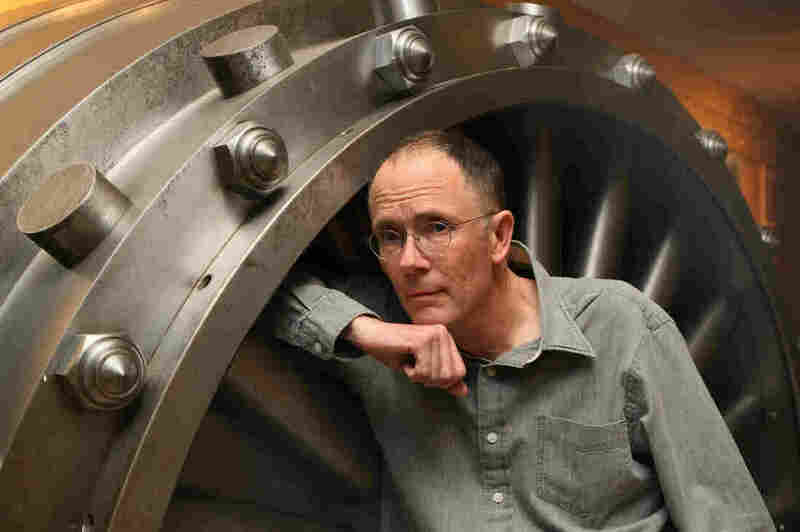 Sci-fi writer William Gibson says the best way to imagine new technologies and how they could affect society is not through current expertise but by talking to "either artists or criminals." Like a lot of science fiction fans, I read William Gibson's visionary novel Neuromancer not long after it came out in 1984. It painted a dystopian world where people spent most of their time on computers communicating across networks in "cyberspace." When I read it, I thought it was an engaging fantasy. Now, over 30 years later, the prescience of Gibson's novel is unquestionable. In the intervening years, I've wondered how he and other artists were able to imagine the future when the technologies they wrote about had barely been invented. There are countless films, books and works of visual art that turn out to be predictive. Jules Verne saw our modern submarines coming. Neal Stephenson's Snow Crash has within it the prototype for Google Earth. But, more importantly, that 1992 sci-fi classic portrays a world where the U.S. government has ceded most of its territory to private corporations. Society has broken down into little enclaves of cultural affinity groups all over the globe inside a virtual reality world called the Metaverse. People live in sovereign gated housing developments. While we are not yet in such a world, our society does appear to be on the march toward further privatization. The Internet seems to have fractured American culture into little pieces. Stephenson says he was simply projecting into the future the increasingly popular ethos of the libertarian hacker community. "What I was doing with that was taking it and running with it," he told me. 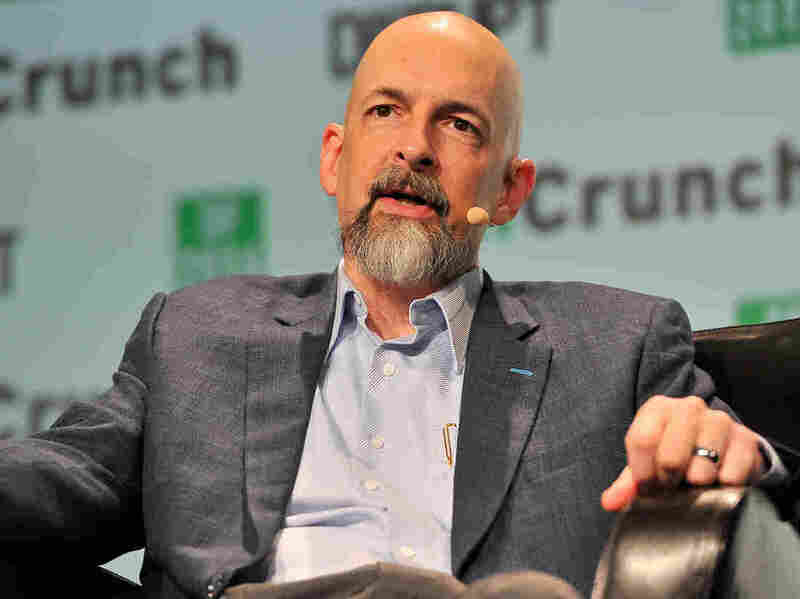 Author Neal Stephenson's 1992 science-fiction classic Snow Crash portrays a virtual reality world called the Metaverse. The visions portrayed by Stephenson and others aren't perfect predictions, but they hit on a deeper truth about the likely direction humans will take new technologies. I could go on about the writers and artists who've been prescient. But I want to leap forward to the fall of 2012, when I saw Gibson speak in San Francisco. The interviewer asked him how he could see the future of the Internet in 1984, when no one other than a few geeks had heard of it. Did he go to scientific talks? Gibson emphatically said he had never read or listened to the tech leaders talk about emerging technologies. "But," he said, "give me a room full of either artists or criminals talking about what they might be able to do with an emergent technology and I've got it, I've made my lunch." Give me a room full of either artists or criminals talking about what they might be able to do with an emergent technology and I've got it, I've made my lunch. As a journalist who has reported on Silicon Valley for a decade and a half, I found his comment a sort of revelation. I've sat through press conferences and interviews with some of the most celebrated leaders in tech — Mark Zuckerberg, Steve Jobs, Sergey Brin, Larry Page, Marissa Mayer and others. But I never heard Zuckerberg predict fake news or Steve Jobs worry about iPhone addiction. These great visionaries were driven by an ideal of how much their technology would change people's lives or by promises of a lot of money, or both. One thing was clear: They had a tendency to miss a lot of what might happen when their beautiful inventions hit the real world. So, I decided to take a page out of William Gibson's playbook and go and find some artists and criminals and see what they were doing with new technologies. As I see it, artists and criminals have something in common: Neither is constrained by social conventions. In a later interview Gibson said, "Criminals are in effect entrepreneurs with the brakes off. They look at whatever the latest technology is and think, 'What can I do with this?' "
Artists are unconstrained by the limits of business and societal conventions. Their work is more about holding a mirror up to society and showing us how we behave regardless of the tools we are given. The five stories in this series are a mere sample of the ways that artists and criminals are bending and playing with the rules. Each story presents a very different idea of the future than the ones coming out of Silicon Valley. There is a growing community of artists experimenting with computers, artificial intelligence and the Internet as their primary medium. And of course, the world of cybercrime is vast and growing. Mostly, I hope these stories contribute to the global conversation that has begun about the impact of computers and the Internet on our lives. It's a dialogue that needs to go beyond the entrepreneurs and inventors, and I hope to keep it going in further reports. Please feel free to share your favorite stories about artists or criminals who have something to teach us about new technologies.